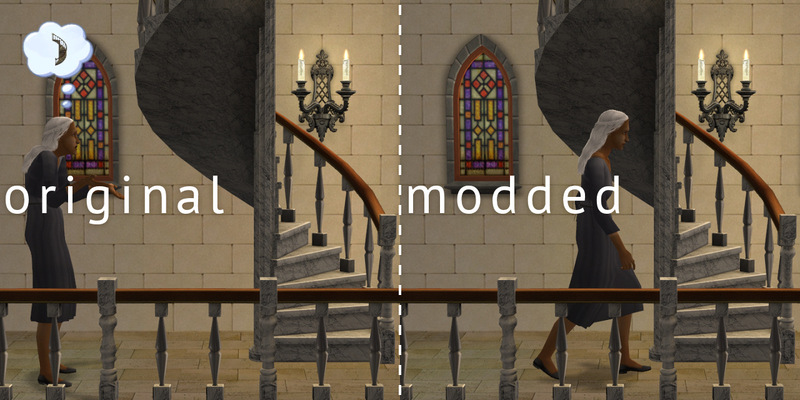 With this mod, Sims can go (and you can also place objects) under the highest part of newly bought spiral stairs. This means you have to rebuy or reset existing spiral stairs to give them those features. Moreover, those new stairs will save their new features even if you uninstall the mod... until you reset them. This mod may affect custom spiral stairs if they're based on Apartament Life stairs. You can place objects that are so high that they intersect the stairs â€“ use with caution. 204 people have said thanks to Nopke for this download.